The plant-based CosMedix™ chemical peel treatment philosophy is based on the principal that inflammation is the core cause of all skin conditions. Traditional skincare products have primarily selected ingredients that create inflammation when addressing these common skincare problems, such as retinol (vitamin A) and glycolic acids. CosMedix™, however, using a process called ‘chiral correction’, made the majority of the active ingredients that they use less irritating. They also removed all other known irritants, e.g., artificial colours and fragrances, artificial preservatives, sodium lauryl sulphate (commonly used in shampoos and shower gels), benzoyl peroxide (commonly used in acne, hair dye and teeth whitening products) and glycolic acid. Chirality is the description of the “spin” that every living molecule or cell receptor naturally has. While it is true that virtually every molecule found in nature is “chiral”, (meaning that it either spins to the left or to the right), not every molecule is “chirally correct” or can be chirally corrected. The skin has millions of chiral receptors that dictate instructions to the cells they are attached to. 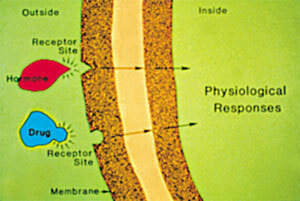 An ingredient attaching to a cell receptor is a similar action to a ‘hand-in-glove’ or ‘lock-in-key’ relationship. A left hand can’t fit into a right glove successfully and a key will not work if it does not have the right shape for a specific lock. When ingredients reach skin receptors with the wrong spin, the message can be blocked, incomplete or inaccurate. Ingredients listed in most skin care products are a 50/50 combination of the left and the right spin. L-ascorbic acid, the left-spinning portion of vitamin C, for example, has been proven more effective and less irritating than D-ascorbic acid, the right spinning portion, or just plain ascorbic acid (the 50/50 combination). Chirally correct skin care products are therefore said to be more active and yet less irritating. The American Food & Drug Administration (FDA) recognised the difference between the left and right spin in ingredients in 1999 when they mandated that all pharmaceuticals produced for human consumption be chirally analysed before going to market. The reason for this was that some drugs had great results using one spin but resulted in harmful side effects (including death) when using the other spin. All of CosMedix products take advantage of this new technology, despite the ingredients being expensive and difficult to produce, and include the chirally corrected form of Retinoic Acid and Hydroquinone. They claim that not only are they equally as effective as the prescription products, but that they are less irritating. CosMedix™ peels are formulated to use very high concentrations of active ingredients, and are plant-based, glycolic free, anti-inflammatory, anti-bacterial and anti-viral, and are said to increase the natural moisture factor of the skin. 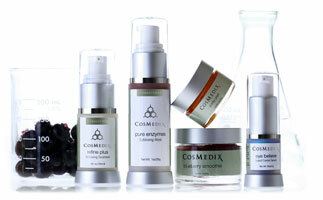 CosMedix™ peels are designed to stimulate change in the skin without causing massive destruction to it. The manufacturers claim to have produced a range of chemical peeling agents which penetrate into the skin more slowly, causing less pain and trauma but still producing results and avoiding common side effects such as a layer of brown, dead skin on the surface post-treatment, or hyperpigmentation and scarring. A cocktail of antioxidant AHAs (Alpha Hydroxy Acids) included in the CosMedix™ range are claimed to increase skin cell turnover and protect the cells from free radical damage. The most significant of the ingredients used in the CosMedix™ range is L-Retinol AGP Complex. This is a chirally corrected version of retinol (vitamin A) that converts to trans-retinoic acid once absorbed into the skin. As a result, it is far less irritating than traditional Retin-A (retinoic acid). According to the manufacturers, the L-Retinol AGP Complex repairs damaged DNA, stimulates collagen and elastin, increases cell turnover and resurfaces the skin. CosMedix™ Chirally Correct Peels provide both superficial (known as CosMedix™ Today Peel) and medium depth (CosMedix™ Tomorrow Peel) peeling products. CosMedix™ peel treatments are targeted at treating sensitivity, redness, dryness, uneven skin tone and loss of lucidity and elasticity of the skin. They are aimed at treating common cosmetic skin concerns and complaints on facial and non-facial areas including rosacea, pigmentation, melasma, photodamage and premature ageing, oily and enlarged pores, acne and acne scarring as well as cellulite and stretch mark improvement. CosMedix™ peels are free from preservatives, irritants, fragrances, sodium lauryl sulphate, talcs and dyes, and according to the manufacturers can be used on all skin types. 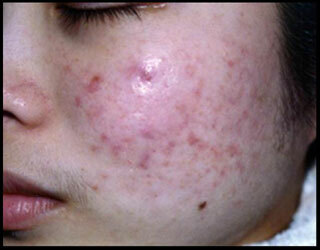 They are also non-acne forming. Trained health professionals only, including doctors, nurses and medical aestheticians. Pregnant and breastfeeding women should generally avoid chemical peel programmes; however the CosMedix™ range includes some products which it claims are safe to use in such cases. Please see the symbols next to each peel for clarification. * Peels NOT to be used on pregnant and breastfeeding women. # Peels SAFE to use on pregnant and breastfeeding women. 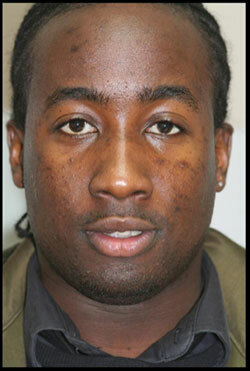 Those already on a peeling programme should not embark on an additional peel treatment programme. Those using retinol products should discontinued them two weeks before commencing the treatment programme. Those who have used Accutane® treatment in the previous year should wait 12 – 24 months before commencing the treatment programme. An individually prescribed Pure Skin and Wellness Treatment Programme™ will be provided based on a consultation and skin assessment (taking approx. 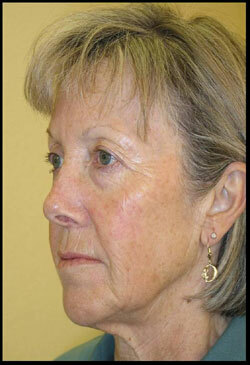 45 minutes), which includes a homecare plan and peel treatment programme. The home care plan will consist of a morning and evening skincare routine to compliment the peel programme in-clinic. Today Peel every two weeks. Body Lift Peel every three weeks. Tomorrow Peel every six weeks. 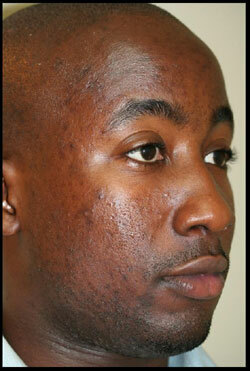 According to the manufacturers there is with virtually no risk of hyper pigmentation or other unwanted side effects. A feeling of tightness and dryness in the skin may be experienced, which creates a feeling of needing to use a moisturiser. This should be avoided as it can impede the skin cell resurfacing process. 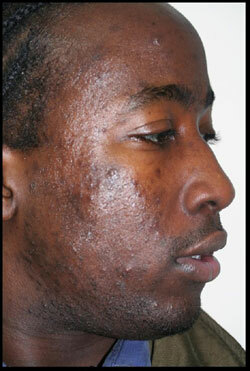 Acne with scarring and pigmentation in male with dark skin colour. Three Purity Peels done on a monthly basis, followed by sixteen weeks preparation using CosMedix Intermediate Kit with Lightening Serum. One Timeless Peel. 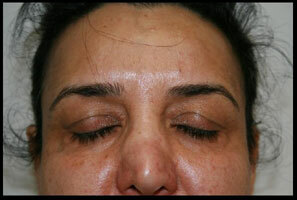 After photographs taken two weeks after the Timeless Peel treatment. Total treatment time approximately 5 months. 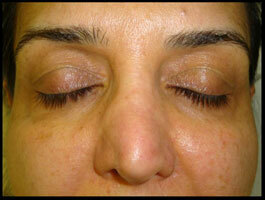 Female with signs of ageing on the face, pigmentation with lines and wrinkles. One Timeless Peel. After photographs taken two weeks following treatment. 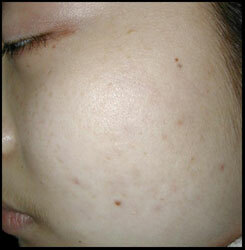 Asian (Oriental) female with acne. Two Purity Peel treatments, two weeks apart, followed by four weeks preparation using CosMedix Intermediate Kit with Lightening Serum. One Timeless Peel. 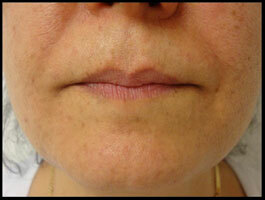 After photographs taken two weeks after the Timeless Peel treatment. Female with pigmentation associated with sun damage. One Timeless Peel. After photographs taken two weeks following treatment. Images provided courtesy of CosMedix. For more information please see the distributor`s website – www.medicobeauty.com. Click for ALL CosMedix™ Chirally Correct Peels clinics in the UK & Ireland registered and verified by Consulting Room.